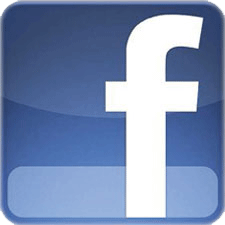 Anthony Elmer Crowell was born on December 5, 1862 in East Harwich, Massachusetts. Crowell was involved in the family cranberry farming business at a young age. At the age of 12, he received his first gun from his father. Young Elmer was fascinated by nature and loved hunting during the annual waterfowl migrations. At 14, his father bought him a large tract of land on the south shore of Pleasant Lake which had an ideal beach for his bird decoys and hunting stands. He preferred live decoys but also carved and used block decoys. Supplementing his cranberry farming wages by gunning for the market and managing hunting stands seemed to be a natural fit. Word quickly spread of his ability to work with live decoys. His ability seemingly unmatched, taking out large flocks with relative ease. He would try to tame geese by building pens and trapping them inside, using electric wires hooked down from the blind to a box. At that point, as soon as a flock would fly over the lake, he would push a button to release the ones he caught, so that they would join the flock and bring them back towards the beach. After that, it was fair game to shoot. Soon he was managing hunting stands and sporting clubs for wealthy landowners from Boston. Dr. Charles Ashley Hardy and his partners, G. Herbert Windeler and Loring Underwood of the "Three Bears Club" were amongst the first to approach this enthusiastic young bird handler. In 1900, Crowell was hired by Dr. John C. Phillips to manage his hunting camp at Wenham Lake, north of Boston. Once the practice of using live decoys became illegal, he continued hunting but returned to making his own decoys. As conservation movements began to gain momentum, Elmer could see his life changing. He witnessed the extermination of the Passenger Pigeon and the Labrador Duck, as wells as, the decline of many other species that were being sacrificed to fuel the demand for fresh meat. Perhaps he was the first of his peers to see the future testing the market with decorative carvings as early as 1900. 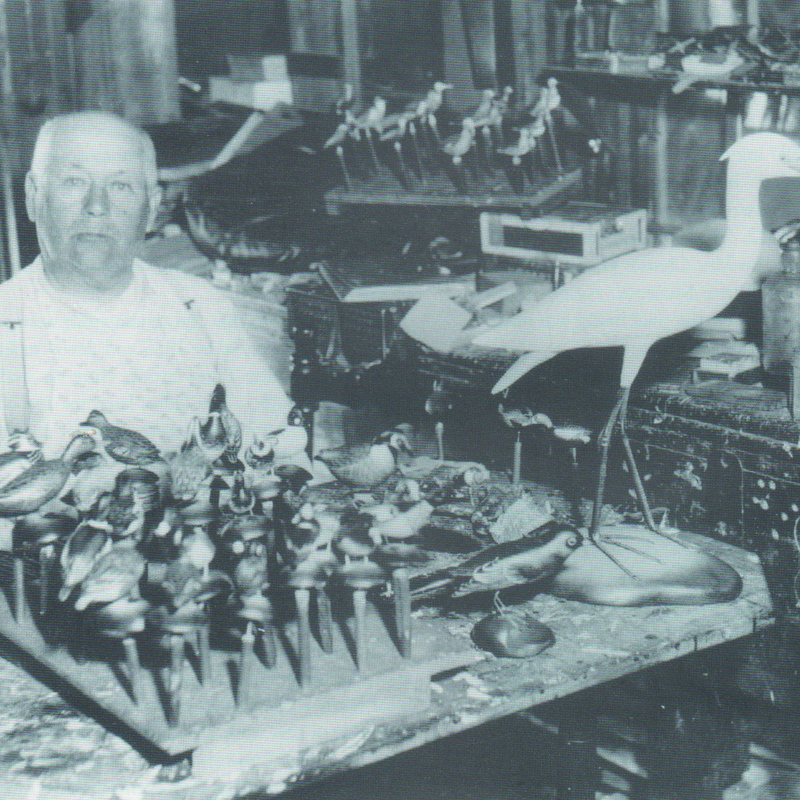 He carved shorebirds, miniatures and ornamentals. In 1912, with the help of Dr. Charles Ashley Hardy, he purchased tools, converted an old chicken coop into a workshop, and officially declared himself to be a full time decoy maker. 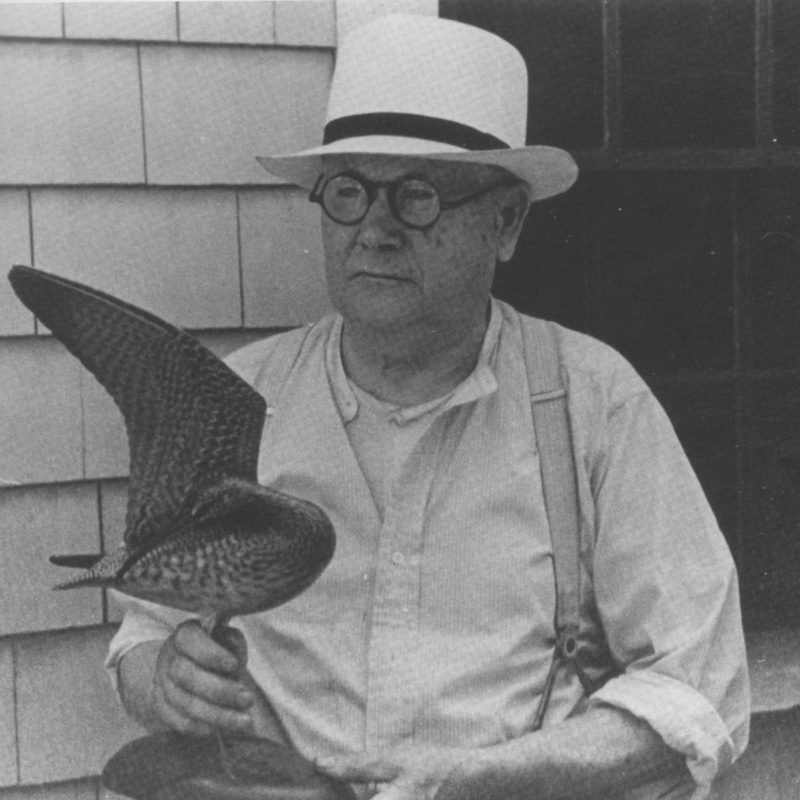 Crowell was and is known for paying meticulous attention to detail in carving bills and feathers, as well as painting the feathers on his decoys. His experience with live decoys allowed him to craft masterfully-shaped decoys. His son Cleon, then in his early thirties, joined Elmer in the family decoy carving business. Their reputation for carving fine decorative objects for the tourist trade was proving to be quite fruitful. Demand was strong enough for him to order his first brand in 1912. 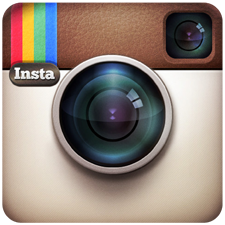 This brand is referred to as the oval brand (1912-1928) a rectangular stamp was later used. The father and son carving duo worked together until 1943 when Elmer's health prevented him from participating. Cleon continued carving until his death in 1961. 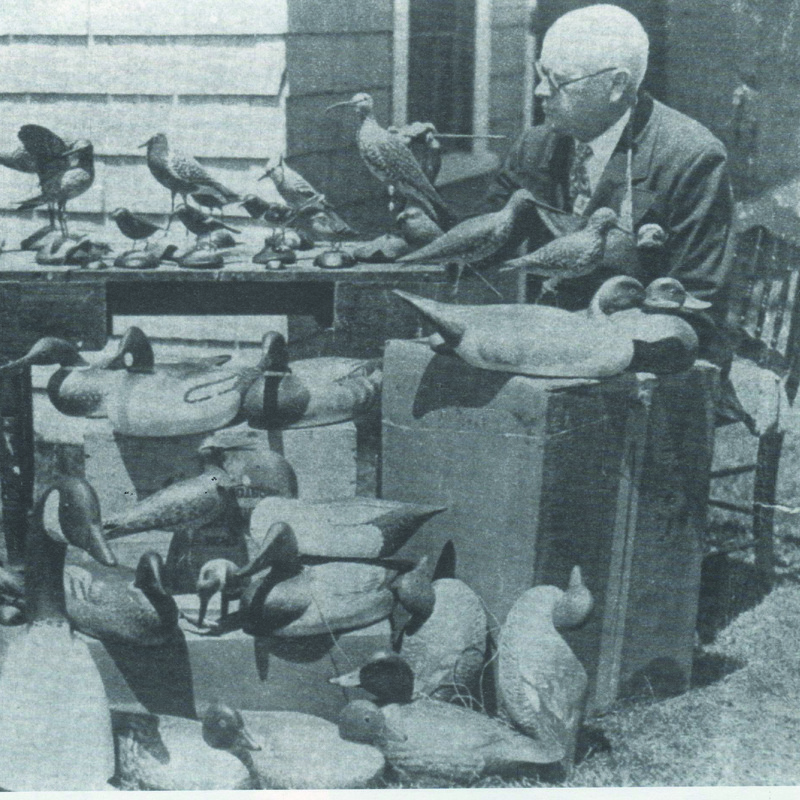 Seven of the top ten decoys ever sold at auction were carved by Crowell. The highest price ever paid for a decoy by Crowell was achieved in November 2006 when Guyette & Deeter Inc. sold a feeding "dust jacket" plover for $830,000.